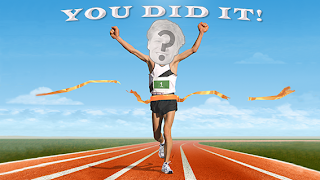 You Can Run a Marathon! 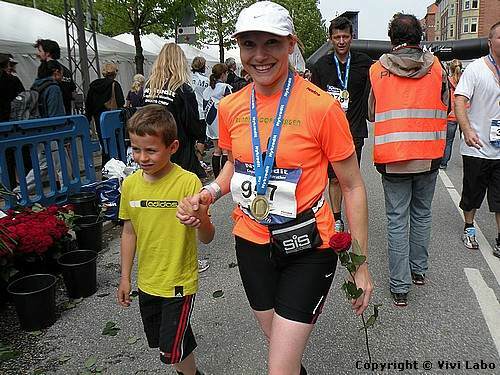 : Copenhagen Marathon - One Year Ago...! 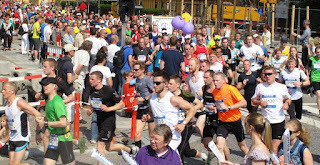 First a big congratulations to everyone that finished Copenhagen Marathon 2012 in this heat!! I know how tough it is to run with the sun beaming down on you for such a long distance! I just had to run another one soon and chose to run Valencia in November 2011. I was thinking of running Berlin or Venice but both of these had no more places and in the end Valencia turned out to be a great choice as it was there that my love of everything Spanish began! 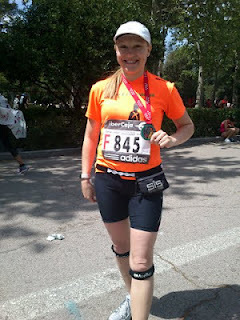 Before I had even run in Valencia I was looking for another marathon for spring 2012. This was between Barcelona and Madrid. Barcelona because I'd already visited but still had some places I wanted to see and Madrid because the American Rock 'n' Roll Marathon Series was organising it. In the end I chose Madrid because of the Rock 'n' Roll theme which once again was a great choice of marathon. I loved the route and again loved all the spectators. Before I ran in Madrid I had signed up and got a place in Berlin marathon 2012. It's just over 4 months until Berlin marathon and I have already signed up for Gran Canaria 2013 and have a place in Copenhagen marathon 2013. Well, I see 20 grades as average temperatura now in Copenhagen. This is more or less what we will have in January in GC. And I can't wait to enjoy that weather in January and leave the snow and minus 10 degrees behind! I love running marathons too!!! Just 4 months for the next one!!! keep running!! About Gran Canaria Marathon, now it’s official … I’ve already signed up, so we’ll see there. And all the others from Gran Canaria :-) There's seems to be quite a few that know each other. By the way, I LOVE your blog! !